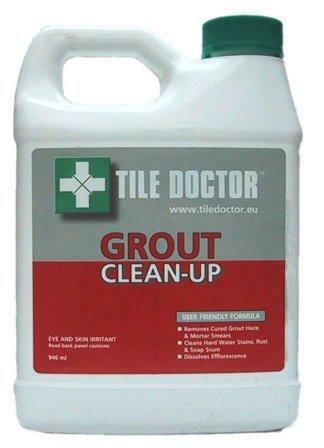 Grout Clean-Up contains concentrated phosphoric acid and cleaner designed to penetrate below the surface to remove light grout smears (grout haze), mineral deposits, rust stains and efflorescence. This product is also effective for the removal of most hard water stains, lime deposits and soap scum. This product is ideal for removing Grout Haze, you need to put it in a spray bottle and spray it on to the wall tiles, and use a rough pan cleaner to remove the haze. On the floor do the same but trying use a scrubbing brush, rinse down with water afterwards you may need to do this 2 or 3 times, to get a good result. If the problem is more that of general dirt and grime then use Heavy Duty Tile and Grout Cleaner first. Recommended for use on masonry surfaces and acid resistant stone such as Ceramics, Porcelain, Sandstone and Slate. Wear suitable protective clothing, gloves and eye / face protection. TEST A SMALL AREA with a 24 hour cure time to determine the ease of application and desired results. 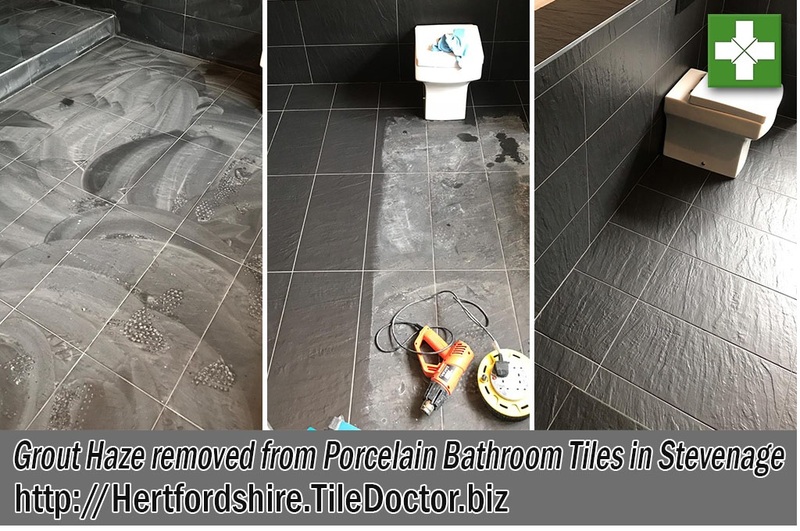 Allow newly grouted installations to cure a minimum of 10 days. Mix 1 part Concentrated Acid Cleaner to 10 parts water. A stronger solution may be used depending on nature of the task. Apply solution, allow to dwell 1 to 2 minutes and agitate with natural bristle brush or white nylon scrub pad. Remove solution within 5 minutes and do not allow to dry on surface. Remove the dirty solution using a wet-dry vac machine and then rinse thoroughly with clean water, agitating with white nylon scrub pad or brush to ensure removal of cleaning agent and acid. Approximately 9m² to 27m² (100 to 300 sq. ft.) per litre depending on dilution. Available in 1 litre bottles at £11.00 each and 5 litre bottles at £45.00 each, Postage and Packing £5.50 for a one litre bottle, £10.00 for two or more litres (All prices are shown inclusive of VAT).